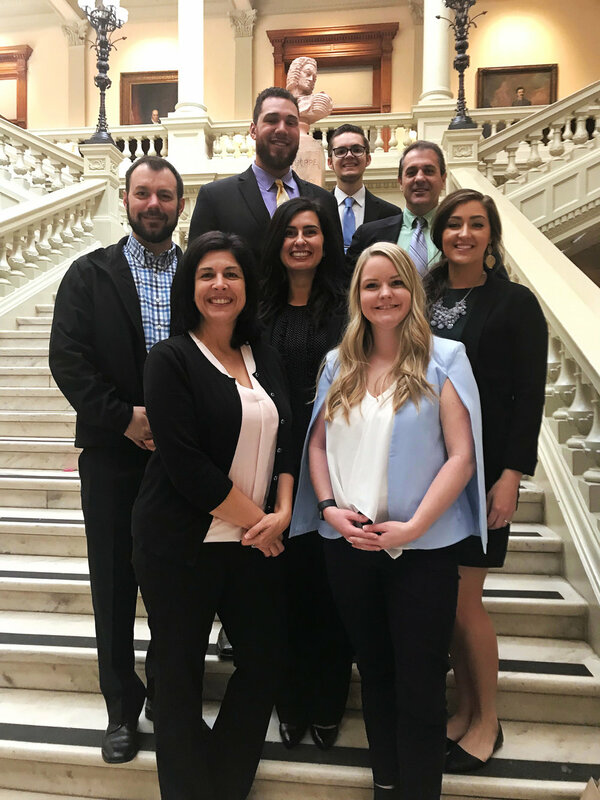 Eight of us from Cook & James descended last Monday on the Georgia REALTORS (GAR) Inaugural & Legislative Conference & Expo with a bang. With hot-off-the-presses business cards sporting our new logo, a re-launched website to crow about, and team of seasoned pros introducing around our four new market developers, we had a fabulous and productive week. We visited with trusted industry colleagues at booth #214 and met a whole bunch of new friends with whom we are anxious to become better acquainted. We know 2018 will offer us plenty of opportunities to find synergy and business opportunities with them and we are excited to share how our pioneering “At-Home” closings can provide mutual benefit. On Tuesday we swept over to the Capitol for GAR’s advocacy day with a whole bunch of other real estate pals. It’s always a thrill to see the inner workings of the wheels of justice and hear heels clicking on the marble floors in the Gold Dome; February 7 was no different. We met with senators and representatives including David Schafer, John Albers, Brandon Beach, and Renee Unterman. We shared our thoughts on upcoming legislation, specifically voicing our support for House Bill (HB) 410 which further defines the intent and production of the estoppel/closing letter which HOAs and third- party management companies currently use. We were happy to join GAR lobbyists Jeff Ledford, Brad Mock and Keith Hatcher as we all expressed our thanks and appreciation to legislators who last year passed two bills benefiting the real estate industry as a whole: HB 204, which separates and prioritizes property tax bills; and HB 661, a revised statute that returns to county by county filing and removes the requirement to obtain a certificate of lien clearance. 661 does keep the provision regarding DOR liens lasting 10 years, with an associated positive that such liens cannot be re-filed after the 10 years elapse. We look forward to further interactions with long-time friends and new business associates from last week’s GAR event. Give us a call or drop us a line anytime.